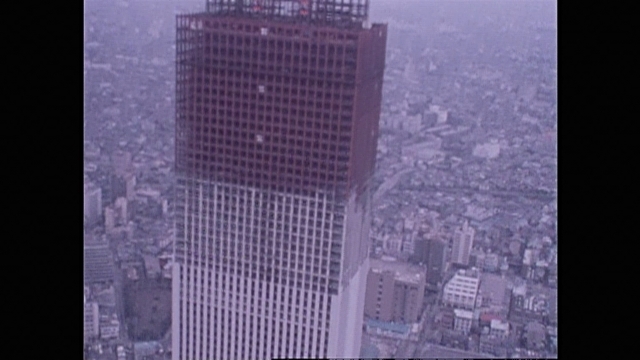 Sunshine 60 is a square block of a tower in northern Tokyo reminiscent of the somewhat unfortunate architecture inflicted upon the UK in the 1960's transformation of London's skyline from romantically historic to "in need of restoration". On completion in 1978 it stood nearly 240m tall with sixty stories and held the record for Asia's tallest building until surpassed by the 63 Building in Seoul some seven years later. And no prizes for guessing how many stories there were in that particular monolith. I first visited Sunshine 60 in the early 1990's to enjoy what I had been informed was the finest curry in Japan. The experience however, left me somewhat concerned in relation to the rest of my stay. But at that time I had no idea that the towering structure held a secret. When constructed, it was raised on the grounds of the infamous Sugamo Prison, internment camp to Tokyo Rose, torture chamber of convicted spy Richard Sorge and execution grounds on 23 December 1948, to seven Class A war criminals including Tojo Hideki, Japan's wartime Prime Minister. And, of course, many believe it is haunted as a result. But in a country with such a history as Japan, wherever you look there will be something, some little piece of that history. And today a friend stumbled across what must be a fascinating story if only I could find it. A German soldier died and was interred on the slopes of Mt Hakone, 100kms from Tokyo, passing away on 10 October 1945. But the question is, what exactly was Theo Zehrer doing in Japan at the time of the Allied Occupation in the middle of the foothills of Mt Fuji? But then again, there would have been worse places to be.